My son used to play football and was in top physical condition prior to basketball tryouts each year. 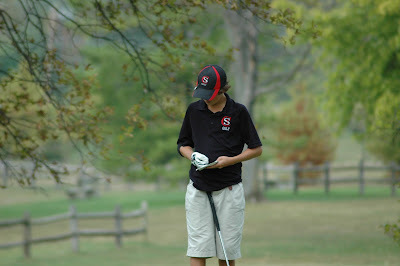 The last two years my son has played on the golf team. He can walk 18 holes over a 5 hour period carrying clubs on his back, and he can swing a club 200 times (range work, practice swings and actual shots) with no problem, but golf is not exactly an intense aerobic workout. I have been wanting to get into better shape and my son wants to prepare for the grueling basketball season, so we decided to do the Couch to 5K program together. This is a program designed to help new runners get off the couch and onto the roads. The goal after nine weeks is to be able to run a 5K or about 3 miles. I downloaded the app on my iPhone. This app makes management of the program easy. Much easier than the running. The program is a three day per week regimen of walking and running and the mobile app helps you track of your progress. For example, the first run consists of a 5 minute warm up, followed by a 60 second run and a 90 second walk. You repeat this 60s run/ 90s walk combination 8 times. This is followed by a 5 minute cool down walk. This equates to 8 total minutes of running and 22 minutes of walking. The app tells you when to walk and when to run. You can listen to your ipod music while you are running. I just listen to my son talk about life and the lady on the app who tells me what to do. I have to say the first day and the second day were surprisingly doable. I am still skeptical that I will eventually be able to do the 5K after the 2 knee surgeries that I have endured, but I am hopeful. I am also tracking my weight, caloric intake and exercise (calories burned) on www.livestrong.com. My business partner started doing this and lost 24 pounds in 8 weeks, so I have first hand knowledge that it works. The Livestrong site lets you pick a weight loss goal. I picked 2 pounds per week. 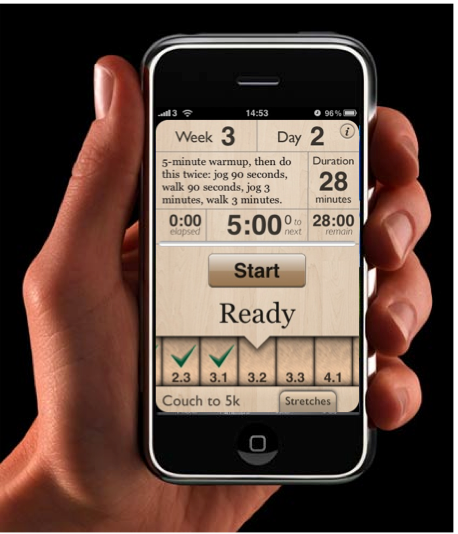 It then calculates the amount of net calories you can consume each day to reach your goal. At my age, weight and normal activity level, I can eat 1309 calories per day and still lose 2 pounds per week. It is really easy to track. Their data base has all the food options and exercise options and the associated calories. I am finding that it is not easy to eat only 1309 calories per day. The program certainly makes you aware of how many calories are in certain foods and the exercise needed to burn it off. It does note seem fair that it takes Many people are not disciplined to track their food each day, but if you do it for two weeks the learning will benefit you. Technology can help you live a more healthy life. The healthier you are the more likely you will be able to keep up to your athletic kids. The size of a soccer field can have an impact on the outcome of the game. 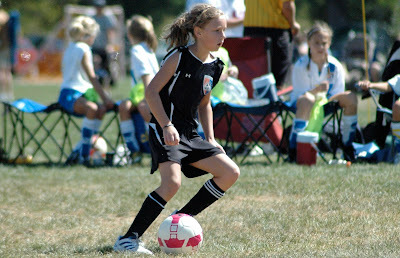 My daughter plays U10 elite soccer. In this area, elite soccer is played 6 v 6 on fields 40 yards wide by 60 yards long. There is a loop hole in the rules that says if a club cannot provide a field of the recommended size then the field size may reasonably vary. What does reasonably mean? On Sunday, my daughter had an away game. The game was suppose to be played on a grass field. The field that was prepared for the game was much smaller than recommended for league play at about 30 yards wide by 50 yards long. The smaller field benefits more physical teams. Our coach complained that the the field did not meet the standards. He was trying to get the game played on an adjacent field that was regulation size. The opposing coach saw an opportunity and asked if our team wanted to play on the turf field. Our coach accepted thinking that the girls would benefit from the experience. What he did not know at the time of the decision was that the field is 60 yards by 90 yards. This size field benefits teams who are fast and physically fit and teams with lots of subs. I believe that the coach of the other team selected the small field to control the game with his physical players, but changed strategies when he saw that we only had one sub. He seized the opportunity to move up to the turf where his team would have an advantage because they practice on turf and because they had two more subs than our team had. Our team controlled the entire game but could not score. The passing lanes were too long to execute the team's normal passing combinations and our team was two tired to make the long runs necessary to score. 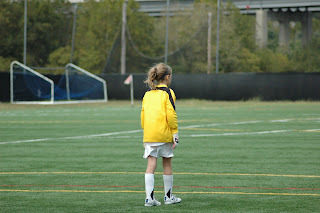 My daughter played goalie and only touched the ball twice. Most of the game she stood bored 60 yards from any action at all. She played goalie for the entire game because her ankle is still black and blue and purple and green from her injury last week. THE INTENTION OF THE RULES BELOW IS TO ESTABLISH ONES UNIQUE TO TEAMS PLAYING 6 v 6. Size: The field size shall be forty (40) yards wide by sixty (60) yards long. However, the ability of each club to dedicate fields of various sizes for the various ages is not the same, so the field size may reasonably vary from the preceding. Center circle: Radius of the center circle shall be eight (8) yards. Corner arc: The corner arc shall be a quarter arc having a one (1) yard radius. Penalty area: The penalty area shall extend twelve (12) yards along the goal line from the inside of each goalpost, so it shall be thirty (30) yards wide, and shall extend twelve (12) yards into the field from the goal line. Penalty mark: The penalty mark shall be midpoint between the goalposts, eight (8) yards from the goal line. An arc of a circle having a radius of eight (8) yards from the penalty mark shall be drawn outside the penalty area. Goal area: The goal area shall extend six (6) yards along the goal line from the inside of each goalpost, so it shall be forty two (18) yards wide, and shall extend six (6) yards into the field from the goal line. Goals: Goals shall be eighteen (18) feet wide and six (6) feet in height. However, if goals of that size are not available, larger ones may be used. There's a lot of strategy and gamesmanship in the game of soccer. Good coaches will take advantage of the field and field conditions to create an advantage. My coaching mentor gave me some great advice one day. He told me to survey the field before the game. He told me to walk the entire field and look for areas that have holes or rough ground. He had me look for areas that maybe down or uphill. He said to look for puddles and determine if the wind and sun will play a role. He told me that soccer is a game typically won and lost by one goal that happens in a few seconds of action. He said know the field and its physical features and then use the knowledge to your advantage because it just might impact those few seconds of action that make a difference. Kids love travel soccer tournaments. They love being with their friends and running around the hotel just as much as they love the competition. They love swimming in the hotel pool and pressing all the buttons on the elevator just as much as they love scoring a goal. Friday night, we drove to an elite tournament in Columbus, Ohio. My wife drove up with my daughter, CC and son, Nic. I followed from work alone because we needed two cars. My son had a baseball game back home on Saturday. I was about an hour behind my family. As I turned down the road where the hotel was located, I called my wife. She answered the phone, "I can't talk CC just got hurt. We are in room 213. Bye" She hung up before I could reply. I got to the room just a few minutes later to find my daughter crying on the bed with a swollen foot. CC had jumped on an elliptical exercise machine after swimming with friends in the pool. She got the momentum going on it then her wet foot slipped forward. She was off balance and the machine tossed her 63 pound body forward. She caught her self with the support bars but could not clear her foot before it got caught by the moving parts. The foot did not look good. It was bruised on the top and back on the achilles heel. It was swollen on the side. On of the parents is a paramedic. He looked at CC's foot and said that it could be broken, but most likely is not. It was too late to go to an urgent care center and we did not want to sit in a city hospital emergency room all night, so we iced it up, went to bed and hoped for the best. The next morning, the pain, swelling and bruising had not subsided at all. She could not put much weight on it. We skipped the 8am game to go to the urgent care center of Nationwide Children's hospital instead. As she was getting x-rays her team was lost 2-0. 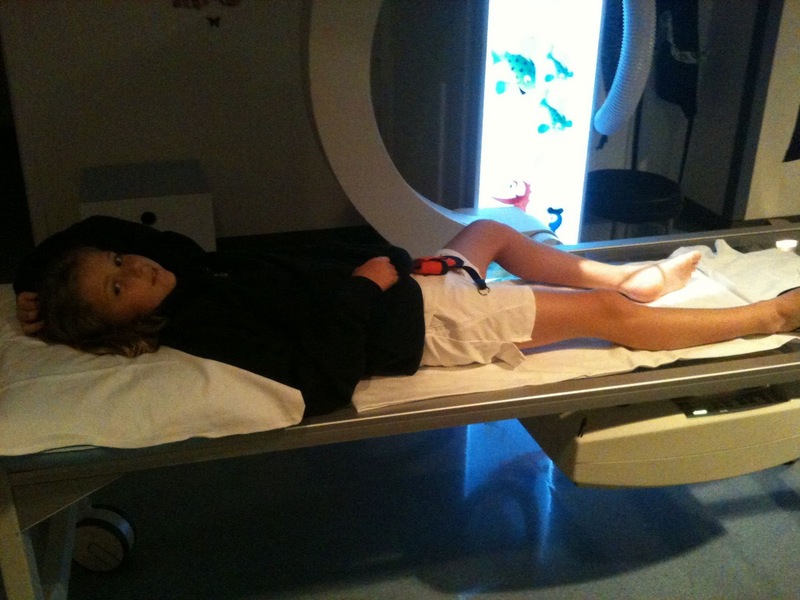 Fortunately, the x-rays were negative, no breaks. This gave her confidence to put more weight on the foot, but she could not bear much. She did not play in the second game and the team lost 3-0. I never missed a game in my life until I was blew out my ACL playing adult softball at age 26. I played my entire senior year of lacrosse with a painful hairline fracture of my shin. I needed to get my dad to sign a school release to allow me to play with the injury. My mom wouldn't sign it. I wore a soccer shin pad and took lots anti-inflammatories to get through the season. My wife had never missed a game in her life either. We half expected our daughter to jump out of bed and play through it the next day. She didn't. She couldn't. As I was wheeling CC through the hospital I saw a little kid who looked very ill. His parents were holding back the tears. I thought to myself even if the foot is broken things could be a whole lot worse. So what if she misses a game or two or ten. Ironically, this is the same advice I gave my sister in the post about her injured son last week. The head coach of the golf team had a conflict and was not available to coach the match last Wednesday. He sent an email out to ask for volunteers, even though it was my birthday I answered the call. My duties were simple. I made the pairings. I handed out score cards to the players. I walked the course between my first and second team to spot balls and answer any questions regarding the rules. I collected the cards at the end of the match. I then verified the individual scores on each card. I selected the four lowest scores from the six players on each team. I added up the four scores. I compared my results with the coach from the other team. We announced the medalist (the lowest individual score) and the winning team. The only coaching I did was with the number two player on our team. He started off (+7) on the first four holes. He was uncharacteristically spraying the ball all over the place. On the fifth hole, he hit a monster hook into an area loaded with trees. He immediately looked away in disgust and did not see the ball rebound perfectly down the fairway. Head down, he walked into the woods to look for the ball. I caught up to him and showed him where his ball was. I told him good drive. He looked at me strangely and did not say a word. I said, "Listen to me it looks like a really good drive by a really good player. Sometimes you just need a break to get on a roll." I looked him in the eyes, "This is your break. You are a good player, run with it." He calmed down and finished 10 over. His score was good enough to be in the top 4. Conversely, my son, Nic, started off just one over after the first 4 holes. On the fifth hole, he hit what looked like a great drive down the right hand side of the fairway. Unfortunately it clipped a tree limb and got knocked down. Instead of punching out into the fairway, my son tried to thread the needle. He again hit a tree. His third shot hit more trees and he ended up just short of a green-side bunker. Unfortunately for his fourth shot, he had have one foot in the bunker and one foot out. Despite the awkward position, he tried to flop the ball just over the lip of the trap to a pin nestled right beyond the bunker. His shot did not clear the lip and rolled back into the bunker. He ended up with an 8. I watched the debacle from afar while I was with the number two player. I could not get over to him to offer advice. Nic was pissed. He wanted desperately shoot low on my birthday. He could not calm himself down and started to struggle. With each shot he became more upset. While he did not throw clubs, he did start taking full John Daly-esque practice swings even for short chips. I did not get on him because it was my birthday and I did not want that as a memory. He finished with an 11 over and his score did not count. His team won the match 162 to 176. The next day. He struggled again. 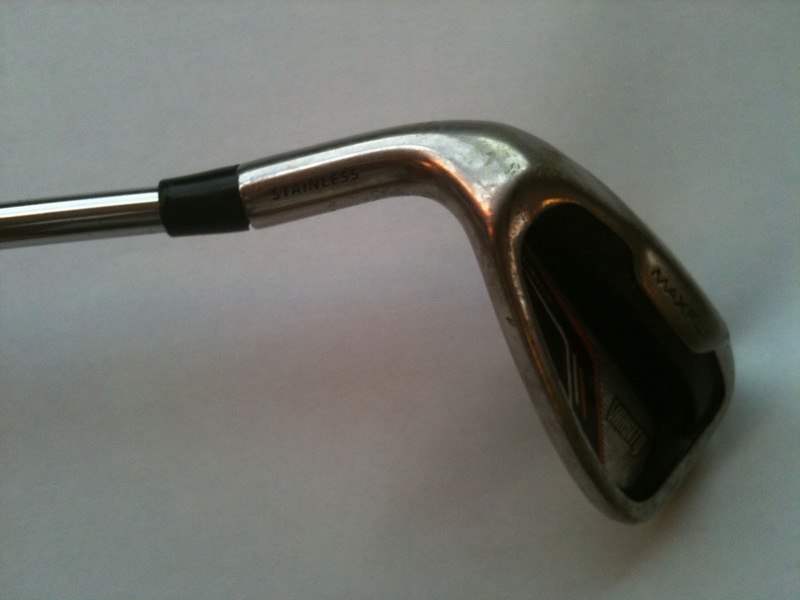 This time he could not contain himself and slammed his sandwedge into the rock hard ground (It has not rained here for weeks) and bent the club. It's lesson time now. He is without a club until he finds a way to get it fixed with his own money and problem solving skills. No matter how good you are at golf, golf is a frustrating game. 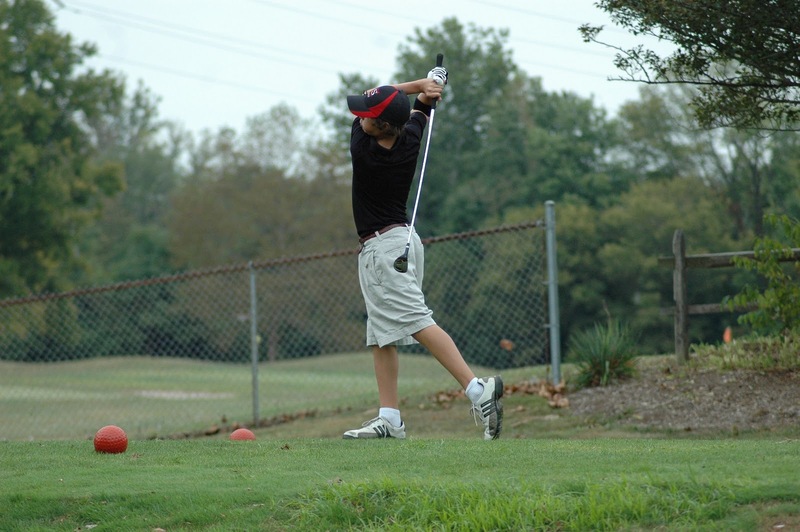 Every golfer, regardless of handicap high or low, wants to play great every round, hole, shot. 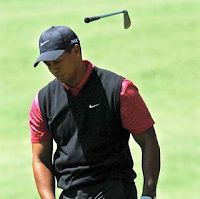 The best golfers contain their emotions 99% of the time. My son contains his emotions about 80% of the time. 80% is a huge improvement over the last couple of years. If he wants to excel at golf he will need to continue to improve on that. My nephew is lighting fast and incredibly strong. He is a threat to score a touchdown every time he touches the ball. When you see him play, you know, everyone knows, that he is the best player on the field. He just stands out. Stands out so much that he is being recruited by Division I college programs. On Wednesday he got a letter from a famous coach, on Friday, he was injured. He hobbled off the field with what looked like a sprained ankle. X-rays revealed nothing, but a specialist determined that it was a rare lisfranc fracture. He will miss the remainder of his junior year football season. He will miss his entire junior year of basketball. He was expected to be a star as the team's point guard and shut down defender. He will likely miss next football season too. My sister, my brother-in-law and my nephew are devastated. His highlight reel is short but very impressive. A college coach will take a chance on him with limited data and be rewarded. All athletes need to prepare for a life without sports. It may be because you are just not good enough anymore. It may be because you get hurt. It may be because of the politics of sports. It may be for financial reasons. Regardless, athletes need to prepare for that day and have a back up plan. The best backup plan for young athletes is excelling in school. On the same night my nephew was injured, a local high school kid was skateboarding home late at night. He was hit by a car and was killed. That is devastating. That puts the injury into perspective. I have a novel idea for youth sports coaches who want to improve. The idea came to me while I was watching my daughter's soccer practice. Coaches should video themselves. Coaches both learn and teach from video that captures the action on the field. Similarly, coaches could learn a lot from watching video of themselves on the sidelines during games. Yesterday, during my daughter's practice, I was completely distracted by the antics of coach who was working the sidelines of a U9 boys soccer game on an adjacent field. The guy was loud and animated. He was both encouraging and demeaning. He was both optimistic and pessimistic. He was both nice and mean. He would clap and raise his hands in support as often as he would throw his hands down and turn away in disgust. "Good play David! Good play!" "Johnny what are you thinking?! You are so much smarter than that"
"YEAH, Andy. YEAH, YEAH that is exactly how we want you to do that. PERFECT! "Really Jason! That's the best you can do. We all know you can do better!" "Run Cameron, Come on you are faster than that!" "Way to get back Josh. Awesome! "Get up of the bench Jack and get Billy out of the game. I am tired of watching him walk around." I also realized that when I was first coaching that I was more like him than not. I was not as negative as this coach, but I was way too animated. I mellowed over time when I realized that the good coaches do not act like this. If this coach just looked down the sidelines at the opposing coaches, he would have realized that they did not shout out a single command, yet their kids were controlling the game and ended up winning 1-0. There are a lot of well intentioned dad coaches who need coaching. I am sure that this coach thinks that he is encouraging. I am sure that he would be appalled with his own behavior if he could just see it. 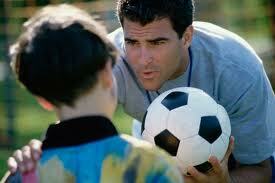 Obtaining coaching training and a soccer coaching license is recommended. During the licensing process learn a lot about how to act as a coach. Not all select soccer tournaments are the same. There are some tournaments that are very selective. Meaning they select the best select teams from all the applicants. The following comes from the FAQ on one of the best tournaments in Ohio, the Mead Cup it illustrates my point. My team has an excellent record, so why can't we be in the FiveStar (top) Division? With over 40 State Cup Champions and almost 20 State Cup Runnerups in the U12, U13, & U14 Age Groups you can clearly see that the level of competition is extremely high. This occasionally means a few teams are surprised when they are not in the FiveStar Division. The Tournament Committee does an extensive review of the applications we recieve, and seeds teams based predominantly on their performance record (occsasionally geographical diversity factors in). Although you may not agree with our assesment, we assure you that we try to give it our best possible effort based on the information that was submitted by each team. My daughter's team competed in the U10 Girls Five Star division. Her team competed hard in pool play winning 1 and losing 2. They did not advance to the elimination round. There are levels within the levels. Soccer players move up to select from rec. Select players are then placed on E level, D level, C level, Premier and Elite teams. My daughter is only a U10 Elite level player, when she is a bit older she will have even higher levels to reach if she continues to develop as a player. The top select players move on to CUP level and ODP (Olympic development). There are also super regional teams. Parents need to understanding the levels within the levels if they want to help their kids reach the highest levels of soccer. 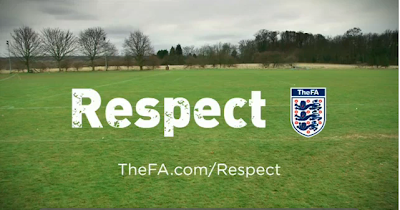 This is a great video produced by TheFA.com called Ray Calls for Respect which clearly and effectively illustrates just how ridiculous crazy youth parents can behave on the sidelines. 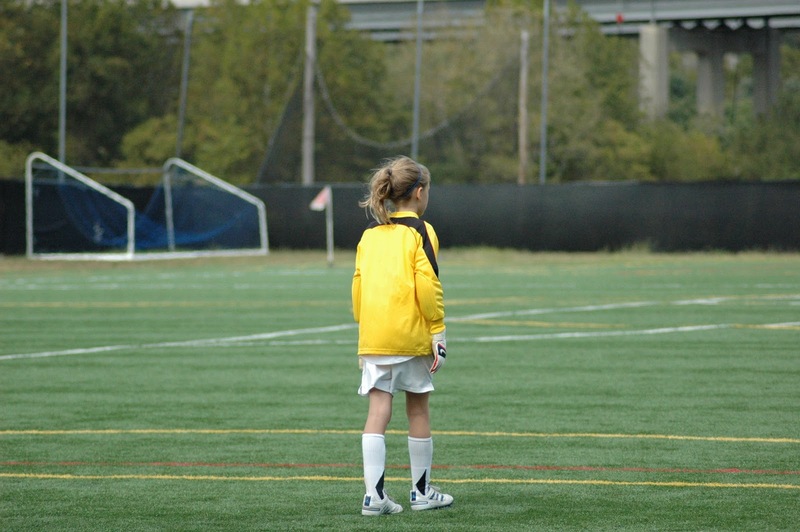 Verbal attacks toward the referees and their own kids can be so damaging to the kids involved and the game as a whole. It is a powerful video that all parents regardless of the sport their kids play should watch. According to the video, it is getting harder and harder to find people willing to referee. I can believe this because I would not want to subject myself to the barrage of insults and complaints from crazy youth sports parents. The video correctly states that there would be no games if there are no referees. The other point that the video makes is that players improve by learning from their own mistakes. I have seen it in all sports where parents unrelentingly find faults with their kids performance and do not hesitate to make it public by yelling from the sidelines. Kids of parents like this eventually play tentatively. When this happens a kid starts thinking too much about what to do and not do that they do not react instinctively. A slight moment of hesitation can be the difference between success and failure. The best line in the video: How is your son suppose to learn if he's not allowed to make mistakes.